Women of Wearables had a great first event in Dublin on the 16th of May. Bank of Ireland Trinity Branch has welcomed our community with refreshments and kind words. This was an exciting time and we had two great speakers who told about their women entrepreneur journeys and stories on how they have started. As an independent 16-year-old with a relentless passion for design, Michelle Keane was given the opportunity to design a family friend's kitchen. This modest commission kick-started her love & passion which celebrated an extraordinary career in the design Industry. Keane is honoured to be the recipient of copious awards like being a finalist in the Smirnoff Young Designer of the year Award 1994 in Trinity College, and the proudest point in her career to date came in 1994 when she was awarded a Post Graduate Scholarship, from the Scottish College of Textiles in Galashiels. She is passionate about making her design ethos accessible to the masses, by lecturing part time in Interior Design. In February 2000 Keane founded the mibeau Interiors brand, providing consultancy services for clients for both the domestic & contract market. Keane has collaborated with global international Brands like Ralph Lauren Home, Designer Guilds, Sanderson, Harlequin and many more. Michelle was talking about her extraordinary journey from the school bench and has given us all an example on how to be brave when you are different. She has shared a lot of tips for starting business and promoting yourself. It was interesting to find out how to get the first customers and recover from tough times. More info about Michelle can be found on her website, LinkedIn, Twitter, Facebook and Instagram. Michelle was followed by another speaker, Tahnee, whose story was extremely interesting, spiritual and inspiring! 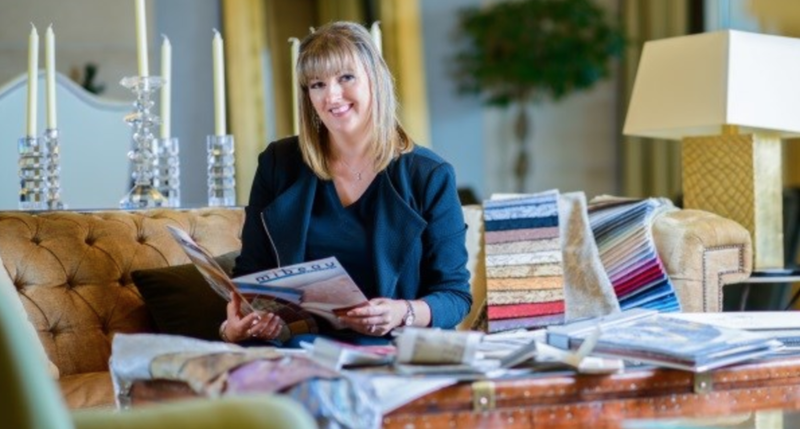 Tahnee Morgan, the founder of 7th Heaven, is an award-winning Irish milliner and has been creating bespoke headpieces for the Irish as well as International brides, celebrities and women who love the wow factor for the past two decades. You could say the designing gene is in her DNA, as both Tahnee's grandmothers were milliners. From as young as eight, Tahnee showed an innate flair for the craft, embellishing her blue school beret and selling earrings to her school pals, which she fashioned out of her mum's feather duster. Her late father, Fred Morgan was a member of a prominent manufacturing family from Drogheda. Under his guidance, the business flourished and at one stage employed up to 600 people in their factories, in Drogheda, Monaghan and Dublin. They were one of the first Irish clothing manufacturers to break into the British market, supplying companies like BHS, C&A and among others, becoming known globally for their label. Tahnee's creations have regularly graced the front covers and pages of not just glossy wedding magazines and social pages but is also regularly featured in the fashion editorials of leading publications such as IMAGE, Tatler, Hello, VIP and Social & Personal. As well as Irish TV Shows, such as XPOSÉ, Ireland AM and RTÉ Afternoon Show and was recently featured in the movie 'A Date For Mad Mary'. 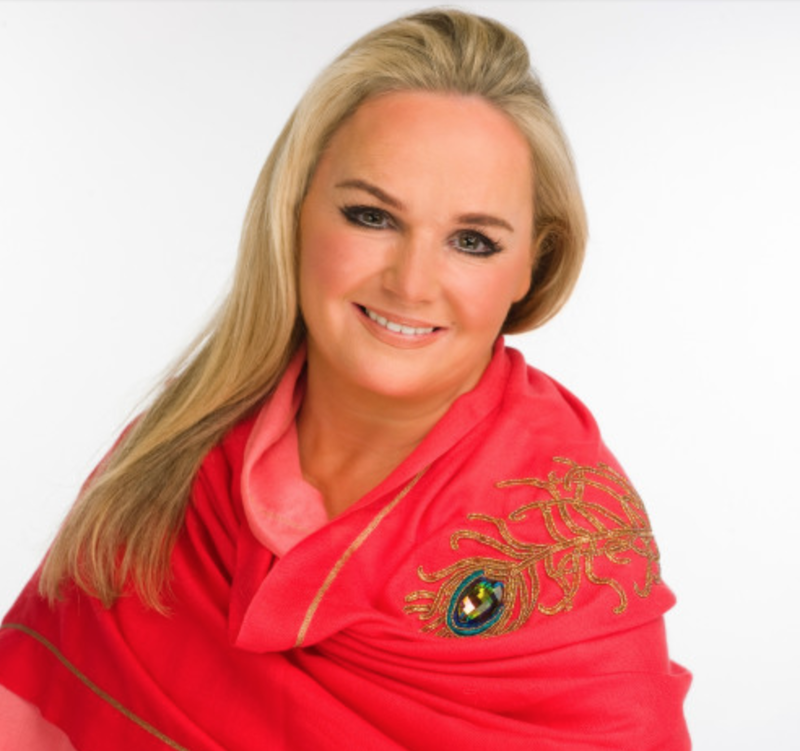 After her near-death experience in 2009, Tahnee felt inspired to capture and express the energy of the ArchAngels by designing unique luxury wrap scarves and jewellery www.tahneemorgandesigns.com. She has told us how her life changed in a couple of weeks time and how the business idea come up to her. This business inspires and drives her as she truly believes she is doing a great thing! She also shared the tips on how to reach out to your target audience and enjoy your entrepreneur journey no matter what. More info on Tahnee's business can be found on Facebook, Twitter and Instagram. If you would want to find out more about Women of Wearables Eindhoven chapter and our activities there, get in touch with Darya Yegorina, our Dublin Ambassador. Connect with Darya via LinkedIn! If you would like to start your local WoW chapter, get in touch with us via email at hello@womenofwearables.com! If you would like to stay up to date with our future events and attend our upcoming meetups, then sign up to our newsletter! 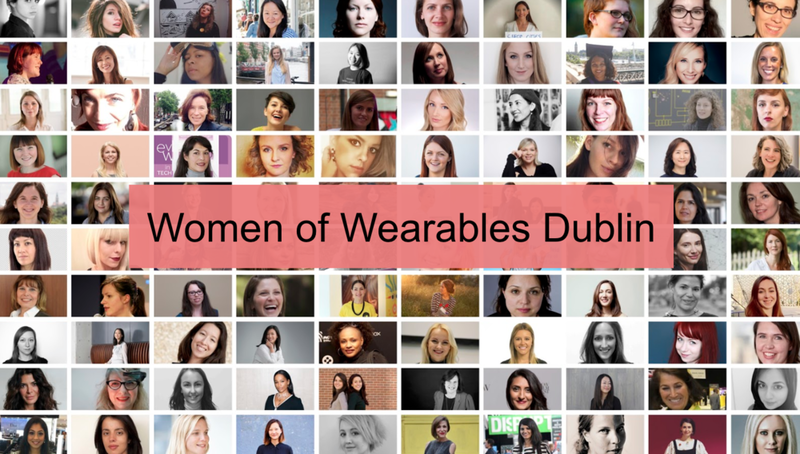 This blog was written by Darya Yegorina, Women of Wearables Dublin Ambassador. She is a serial entrepreneur, CEO of CleverBooks and other ventures in multiple industries. Darya’s current focus is on emerging technologies for education where she has the mission to deliver the most innovative Augmented Reality technology to schools around the world and to create equal access to technology for kids globally. Darya is called the Innovator by Irish Times, Irish Tech News and Examiner in 2017, was featured in Forbes and selected as one of young Irish best entrepreneurs in 2016. Connect with Darya via LinkedIn!